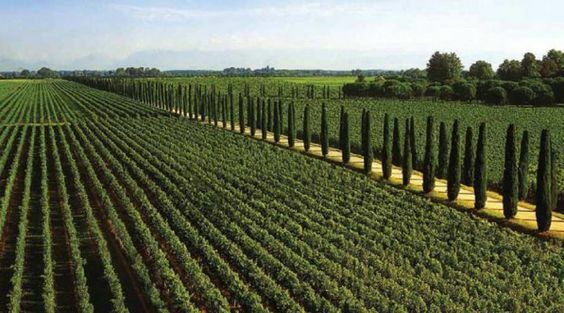 The estate is located between the mountains and Adriatic Sea in Cervignano del Friuli within the district of Aquileia in Northeastern Italy. Approximately two hours from Venice. The property has roughly 2,500 acres, 1,500 of which are dedicated to vineyards.. The area has been highly regarded for its wines - even as far back as the imperial court in Rome. This is where Italy’s best Pinot Grigio originated, in the far northeast of the country (Friuli) where the wines are more concentrated and aromatic because of the cool hilly conditions.